Concrete and reinforced concrete constructions made out of this concrete have a non-porous, visually pleasing concrete surface. 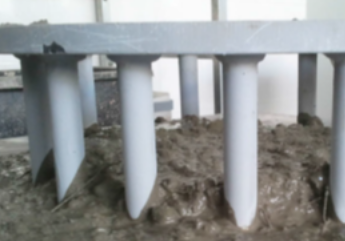 This concrete does not require additional compaction; meanwhile, construction reinforcement can be highly dense. 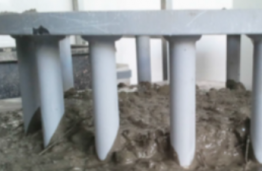 The use of such concrete in reinforced concrete factories allows maximum automation of the production process. The developed technology allows to produce a concrete mix which is superior technologically, has the best physical and mechanical properties, and is the easiest to use. The spread of the concrete mix is less than 650 mm. We expect this fluid concrete mix to replace around two thirds of the usual concrete mix in Europe over the next 10 years.